An allergy is an abnormal or exaggerated reaction to an otherwise harmless substance. Itches, coughs, sneezes, and wheezes are some of the trademarks of allergic misery. The allergy producing substance, called the allergen, may enter your body by inhalation through the nose or lungs, by eating or drinking, by direct skin contact, or by insect stings. As an allergic person, you may be sensitive to more than one allergen, which may be confirmed by your skin test. It is possible to have one or more manifestations at different times of your life. For example, you may have eczema as an infant, asthma as a child, and rhinitis as an adult. 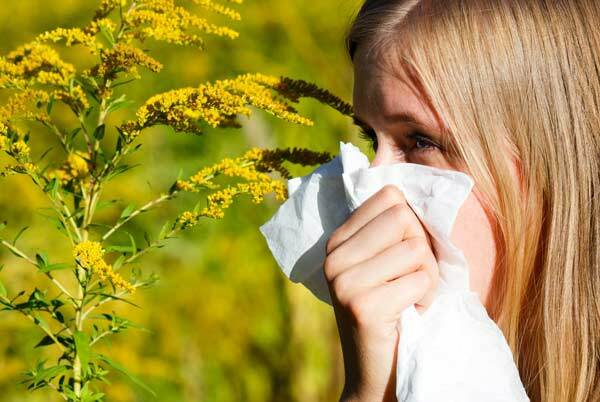 Your tendency to develop an allergy is inherited and remains with you throughout your life. However, you may have dormant periods with no apparent symptoms. It is most doubtful that you can "outgrow" an allergy. Although you are born with a tendency to develop allergies, your symptoms are best controlled by your Allergist. You will lead a more comfortable and productive life by following yow doctors prescribed treatment. The following is a list of allergens that are commonly found in your environment. You have reacted with a positive skin test to the following allergens as indicated by a checkmark. Please keep this list for your reference. We are always happy to discuss any concerns about these allergens, or we'll suggest how to avoid them. 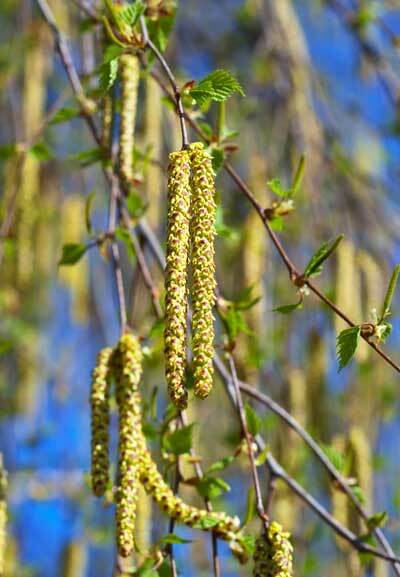 Pollinating season begins at the end of March and continues through May. Pollination begins in mid-May, peaks in June, and ends in mid-July. Pollinating season for Plantain begins with the grasses and continues through the fall. Ragweed is the most prolific weed that begins its season by August 15th, peaks in September, and continues until the first frost, along with the other weeds. Found in the air outdoors except when there is a ground cover of snow; may be found in damp places and spoiled food. These have no particular season and are present year-round. They appear more troublesome with high humidity and during the heating season. These allergens are not season specific. If you are sneezing, wheezing, or itching, it may help to think of your allergies according to the Bucket Theory. Pretend that your body is a three gallon empty bucket. On any given day the bucket is loaded-up with the things that cause you to react including pollen, mites, food, or others. This is fine as long as it's not more than three gallons worth. When you have more than three gallons worth of sensitizing materials and only a three gallon container, you have overloaded your capacity. The results are your allergy symptoms. Your bucket can get sabotaged. There are certain factors that seem to lower the brim, leading your bucket to overflow before it holds the entire three gallons. These factors include weather and temperature changes, fatigue, emotions, strong odors, chemicals, exertion, and infection. When some or all of these factors are at work, you may experience allergy symptoms, even when nothing else in your environment has changed. 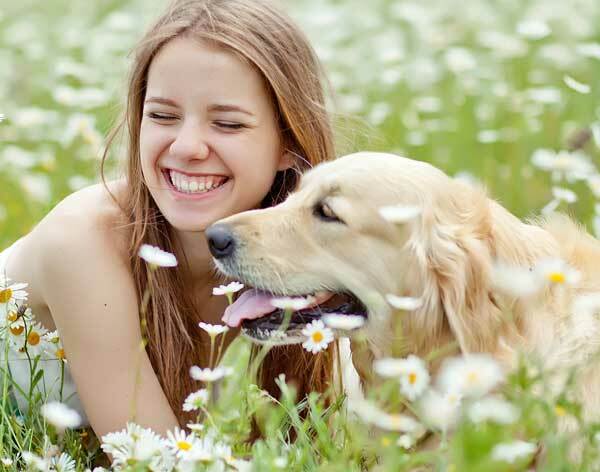 The goal of allergy therapy is to reduce your allergic load. Your doctor will outline measures to both reduce the number of items that get dumped into your bucket and to reduce your sensitivity to the things that do. Can you think of anything that you can do to lighten the load or raise the brim? Better communication with our office through convenient and secure online access. © Copyright 2019, Asthma and Allergy Physicians, LLC. All rights reserved. The AllergyAAP.com website does not provide medical advice, diagnosis or treatment. If you are experiencing a medical emergency, please call 911 or contact your physician immediately.